You’re looking at the most magnificent addition to your kitchen. The new Norwalk 290 Juicer is by far the finest juicer I’ve ever used. (I’ve been juicing off and on for a long time but other brands of juicers just fell apart or didn’t produce quality juice.) A friend told me about Norwalk and their life changing juicers. I bought one! The first thing I noticed when the juicer arrived was the thick, careful packaging. Each juicer is made in USA at the Norwalk factory by hand by skilled craftsmen. The machine is a work of art. 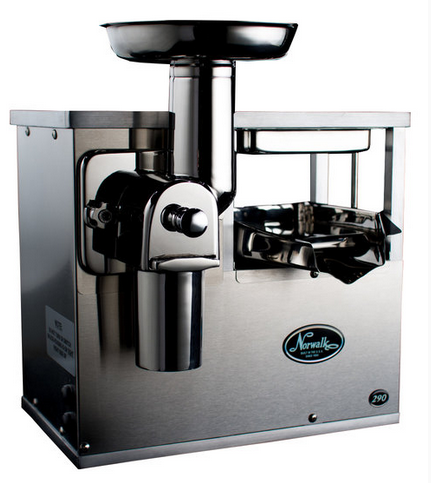 Polished Stainless, the Norwalk 290 Juicer is actually a combination of two machines sharing the same body and powered by the same motor. A Vortex Cutter for complete cutting and grinding and a Hydraulic Press which extracts the nutrients from the pulp provided by the Cutter. 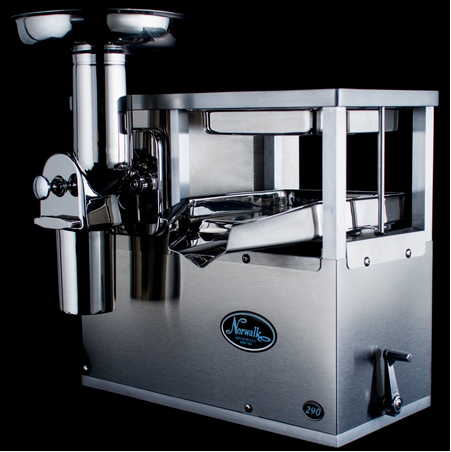 The Vortex Cutter in the Norwalk 290 juicer is a heavy duty helical cutter-grinder mechanism (the triturator) which cuts the fibers of raw foods down to the cellular level. This enables the maximum extraction of nutrients. The Norwalk Juicer was created by Dr. Norman Walker who in his younger years became very sick. Dr. Walker had a conversation with a fellow doctor who told him to pack up his things and “get away from it all” to truly experience a lifestyle of healing. Dr. Walker did just that and moved from London to a small village on the outskirts of Pontivy in France. He found a charming old couple with a family farm who said he could live there for about $2.00 a week. The couple’s diet consisted mostly of raw vegetables and fruits from their garden. One day Dr. Walker noticed the fresh vegetables that were being prepared in the kitchen. The glistening carrots caught his eye. How moist they were when peeled even though they had not been in water! This got him thinking. Dr. Walker peeled about six carrots and then used her grinder to create the pulp which he then placed in a clean towel and extracted the juice. Thus the idea for the Norwalk juicer was born! 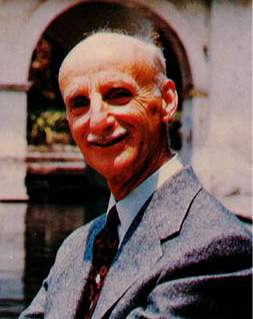 Dr. Norman Walker (Norwalk) became known as the leading expert in the field of raw juice therapy when he opened the Norwalk Laboratories of Health Research in 1910. His research in the benefits of raw vegetable and fruit juices prompted him to begin production of a hydraulic press juicer. The power and life of juicing with a Norwalk juicer provides living enzymes that are found in the atoms and molecules of every plant, vegetable, fruit nut and seed in their raw natural state. Dr. Walker lived to be almost 100 years old and active through it all! For the money, this is the best investment you can make for your health. The fact that Norwalk makes all of their juicers in America further speaks to the quality of American made, American proud. In addition, Norwalk was started in the 1930’s and is still manufacturing amazing, life changing juicers. You can rest assured the company history and quality is in every juicer they make. Retro housing design – a throwback to the model 201 built in the 1950’s. It’s a work of art! Housing attachment knob design – machined stainless steel knobs rather than wing nuts for enhanced styling. Removable press plate – guide pin relocated from the back of the machine to side allowing the removal of press plate for ease of cleaning of the press chamber area. Juice tray attachment clip – added to the back of juice tray to allow for a more secure fit of tray to press plate. Improved machine ventilation – sheet metal ventilation holes redesigned to allow 52% more airflow to motor resulting in lower operating temperatures. New Power Entry Module (PEM) with removable IEC style electrical cord – can be used in other Countries. 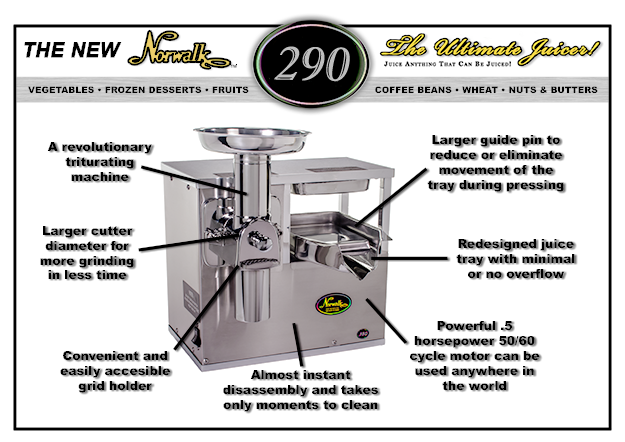 I’ve been researching the Norwalk 290 juicer for a few days including recipes, operation, features, etc. For juicing everything juiceable. Even coconut meat and such leafy vegetables as parsley, spinach and wheat grass. Texture cereals, meats, vegetables, raw and cooked fruits just right for tiny babies and juniors. Put the freshest taste in breads, muffins and cakes by milling your own corn meal and wheat flour. Enjoy your favorite cereals made from freshly ground wheat, corn, oats and other grains. 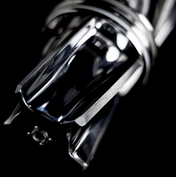 Serve distinctively fresh ground coffee brewed your kind of way – drip, percolator or silex. The richest taste with the full-bodied aroma and flavor of freshly ground coffee! Enjoy the smooth, delicious natural flavor of old fashioned nut butters made from peanuts, almonds, cashews, walnuts, pecans and other nuts. For a different taste treat, try chia, sunflower and sesame seeds. Prepare finely or coarsely chopped and grated fruits, vegetables, nuts, cooked cold fish, meats and poultry for salads and sandwich spreads. Provide your special pet with freshly ground food. It’s more economical. It’s better for him nutritionally. Like ice cream but more flavorful and nutritious! Discover the delectable, creamy taste of frozen melons, berries, oranges, bananas, peaches and pineapples. Grind pepper, other herbs and seasoning to your preferred fineness… Process cheese, dried bread and crackers… Make deviled eggs, relishes, jams, jellies, purees and soups, stuffings for fish and poultry, fillings for desserts…and much more! Discover a new healthy way of living through Norwalk Juicers. I’ll be posting some videos soon that show how easy using the Norwalk 290 juicer is! The Norwalk 290 Juicer is now a part of my BEST SELF philosophy.